Our parsha begins with the unfathomable ritual of para aduma, the red heifer. The completely red-haired animal is burned on Har Ha’zaytim to the east of the Temple Mount, in direct line with the Holy of Holies, which enabled the officiating kohen to see into the Holy of Holies. The Torah informs us that all the people involved in the preparation of the para aduma become tamei (a state of ritual impurity), even though the result of their efforts is the purification of people or objects which became tamei through contact with a corpse. How strange that the people who are engaged in the purification of others become themselves impure! But here the Torah is teaching us a huge lesson in Yiddishkeit; that, in the fulfillment of Hashem’s will, a Jew at times is called on to dirty his hands – literally and figuratively. 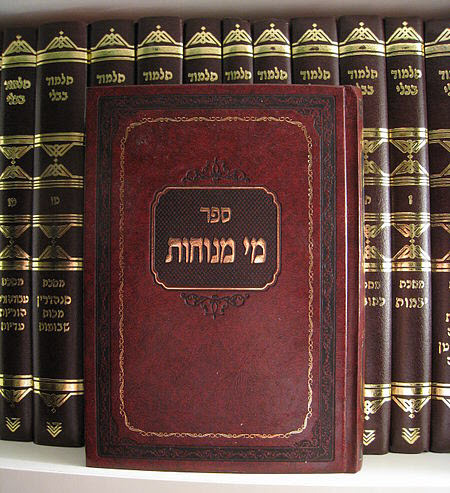 The Gemara in Pesachim 57a tells of a kohen gadol (high priest), Yissachar of Barkai, who would protect his hands with a silken cloth when performing the sacrificial rituals: shechita (ritual slaughtering), collecting the blood, cleaning the innards, taking down the charcoal, etc. In his opinion these were not for a Kohanic aristocrat brought up on the west side of the suburb of Barkai (or any other west side)! He was eventually punished, when he came into conflict with the king who ordered his two hands to be amputated. Hashem was saying in effect to this kohen, “Why did I give you hands if not to serve me. If it is unbecoming of you to dirty those hands in my service, why do you need hands? 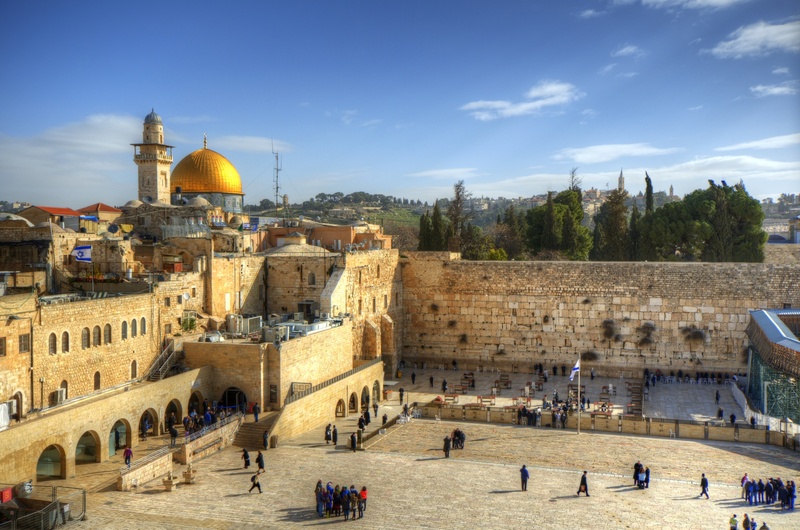 I have a friend who is now retired from work as a dustman (sanitation worker) in Yerushalayim. I would always stop to talk with him; and while leaning on his broom, he would quote pasuk after pasuk from the Tanach. This special Temani (Yemenite) man would always remark how much pleasure he got when seeing the beauty of Yerushalayim and knowing that he had contributed in some small way to it. There was a man from Bnei Brak whom I knew many years ago. He told me what was happening at that time in his family. His usually happy, energetic teenage daughter suddenly became extremely despondent, but refused to reveal what was troubling her. After his wife and he made it very clear to their daughter that the situation could not continue and that they were preparing to call in professional help, she divulged to her mother what the problem was. Her father had never discussed his work with his children, so they never really knew what he did. One day, while riding the bus, she saw her father together with other men paving the road between Bnei Brak and Petach Tikva. She was so shocked to learn that he was a manual laborer that she closed herself off. The man told me how he then sat down and explained to the young girl that to pave the roads in Eretz Yisrael is more honorable than the prestigious job he had filled in Hungary before the war. The road he was building would bring untold people to do mitzvot; and in Hashem’s painstakingly exact calculation, a part of every mitzva would be accredited to him and the entire family. In the process of bringing purity and kedusha to the world, one must be prepared to dirty one’s hands and soil one’s clothing if necessary. This is the diagnosis of the ailment from which we religious people suffer. How much more pleasant to escape the responsibilities of being an active partner in bringing about the redemption of our nation. It was more pleasant to go on with one’s life in Europe in the early 20th century than going to the Galil to drain — the Chula swamp, or to clear the fields of the Jezreel Valley of the stones to prepare the land for planting after 2000 years of dormancy. We who believe in the Torah and the sanctity of Eretz Yisrael didn’t do it; the Chalutzim (pioneers), whom we mock for their alienation from Torah, did. They fell from malaria, fought off the Arab gangs with no more than sticks in their hands, went into the ocean to bring in our brothers from the refugee ships under the noses of the brutish-British, and they established the State. And the nearly one million religious Jews in chutz la’aretz led by certain people continue to mock, degrade, despise, scorn, and disdain, the “Tzionim”; but to this day continue to sit on the sidelines, spectators of the renaissance of our nation. I can hear the response of some people reading this. Why am I “picking” on the benei Torah in chutz la’aretz when the same is going on in Eretz Yisrael in certain circles? You are correct! True, it’s not very pleasant to have to crawl on your belly in a thorn field or to have to learn how to throw a hand-grenade for 5 hours under the beating sun in basic training; not to mention being shot at. Why dirty my hands when someone else or his son can do it? The Kohen Gadol Yissachar from Barkai learned the lesson of dirtying one’s hands in the service of Hashem; but we, unfortunately, have not learned the lesson of the Shoah that what we don’t do ourselves that which no goy will do for us. The hills of Yehuda and Shomron begged for the Children of Israel to come and claim their God-given heritage. The beautiful seaside plains of the Gaza area stood waiting for the tens of thousands of Jews to come. The rolling hills and mountains of the Galilee waited for the fulfillment of the prophecy of the words of Yirmiyahu to our mother, Rachel, that the “sons” will return to their land. But, no, for tens of thousands of our brothers, it is a bigger mitzva to fill Madison Square Garden and pat each other’s back for the great sacrifice of learning a page of Gemorah a day. So we paid and are still paying the price. Two organs were amputated from the body of Eretz Yisrael, one in Gush Katif and the other in the northern Shomron. Yehuda Ha’Levy laments his inability to come to Eretz Yisrael, if only to embrace the soil on the ground. But thank God there is a generation of kippot serugot in the land – “produced in Israel for domestic use, not for export” – who will be the backbone of the next generation. I stood with the young people in defiance of the undemocratic and immoral decree of our government to evacuate Jews from parts of Eretz Yisrael. This never could have come about if there were another one hundred or two hundred thousand G-d fearing people in the land. So, take a good look in the mirror, and then look at your hands and try to find the calluses. When studying the matter of para aduma, the following thought came to my mind, which may make the matter just a little less obscure. One third of mankind was killed when Kayin murdered his brother, Hevel. Tradition states that Kayin argued over ownership of the Temple Mount. Kayin then murdered his brother with a rock and buried him in the ground – this is all on the background of the first element “afar”, dust or soil. The deluge (flood) in the time of Noach. Humanity was destroyed in the time of Noach through the second element “mayim”, water. When the five centers of culture, Sdom and Amora and their three sister cities, were destroyed. Sdom and Amora were decimated by the third element “aish”, fire. When the army of the then superpower of Egypt was destroyed in the Red Sea. The waters of the Red Sea (parashat Beshalach) were split by the fourth element “ruach,” when a great wind raged all night and blew again to restore the waters to their natural state. Para aduma utilizes all of these elements: 1) Fire “aish” burns the para creating 2) “afar” or ashes called “ayfer”; 3) the kohen then mixes the ayfer with water. He does not pour the liquid on the person coming to be tahor. Instead, the kohen flings the mixture on the person by using the 4) wind which he creates by the force of his arm. We see that when each element is taken alone, it brings death and tuma. However, when taken together through the para aduma, the joint forces of all the elements bring tahara and life. I don’t know if this is the right track to the true understanding of the para aduma, but the lessons to be learned are certainly applicable. Unity among the Jewish nation creates an atmosphere of tahara, whereas disunity produces strife and tuma. As an example of this, I would like to relate a most unfortunate incident which occurred several years ago in New York City. The major orthodox organizations decided to declare a prayer event near Wall Street in view of the difficult situation here in Eretz Yisrael. However, the heads of Agudat Yisrael made their participation conditional on not reciting “mi sha’bay’rach” (blessing for healing and safety) for Medinat Yisrael or Tzahal (IDF soldiers). After the event, I learned of the condition imposed by Agudat Yisrael and wrote a letter to one of their leading administrators, ostensibly seeking advice in a delicate matter. I have a son who is a senior officer in Tzahal. Our army does not award campaign ribbons to its soldiers; but if it would, his uniform would not be big enough to hold the awards he would have received. Thousands of Jews owe their lives to the daily and nightly efforts of him and his soldiers. Rabbi, please tell me what I should I tell them.